Can you imagine a game show where people need to match survey questions about items found in a cave? Gets a strange look from the host, checks the results. Buzzzzz! Nope, DNA didn't match the survey. But DNA is in caves, especially in the soil. Some of it comes from our fully-human Neanderthal ancestors, too. Scientists are disagreeing about the age and movement of the DNA. The stuff breaks down over a short amount of time. Maybe soil helps preserve it, but water in the soil helps mix it up and seep into deeper rock layers. Some secularists are believing that the DNA is way, way old, and others are saying, "Waitaminnit, it has age limits". To date the DNA because of their long-age assumptions require it to be old is circular reasoning, but actual science shows that the DNA cannot be all that old. There will be serious mental issues when dinosaur DNA is recovered as well. Can't have not-so-old DNA is "old" rocks, that would imply that Earth was created recently, which is anathema to evolutionary concepts. DNA has a lifetime. It decays. That’s why researchers do not consider it likely that dinosaur DNA will ever be recovered sufficient to make “Jurassic Park” a reality. 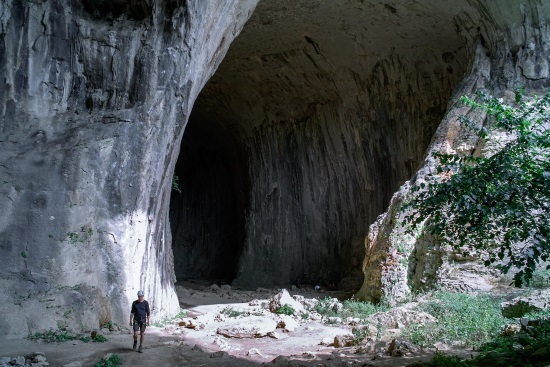 Now that DNA is being recovered from cave soil where early humans lived—without the need for bones—will the evolutionary dates drive the interpretation, or will known decay rates lead scientists to reconsider their assumptions about how old it is? We examine recent news reports for clues. To read the rest, click on "Ancient DNA Recovered from Caves".